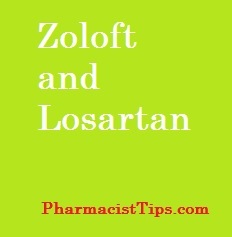 Is it safe to take Zoloft [sertraline] and losartan potassium together? Is there and interaction between Zoloft and losartan? Zoloft (and the generic sertraline) is a medication from the group of medicines known as SSRIs. SSRIs help increase the amount of serotonin found in portions of the the nervous system, which then may improve depression symptom. Losartan (you may also see it listed as losartan potassium) is a blood pressure medications from a class of medications known as ARBs. This class help blood vessels relax and that lowers blood pressure. Your doctor may use it for other conditions. There is no interaction between the two medications. I’ve seen many people use these two medications together safely. However, I always encourage people to pay attention to how they feel when they start a new medication. If you notice an unexpected effect or side effect contact your doctor or pharmacist immediately. Taking the time to learn about your medication can help you identify and prevent problems down the road. I’m glad you are taking the time to learn about your medications. Be sure to speak with a health care provider if you have question or feel there is a problem. I do hope this information is of some use to you. 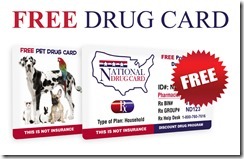 Please ask me a pharmacy related question if you have one. Thanks for visiting my website. thank you so much for your info..